I’ve been writing about language learning here for so long now that I tend to forget to cover the basics and just assume everyone’s an experienced or advanced learner most of the time. I often forget that so many of the readers who land on this blog haven’t been following me since the beginning and are on a new language journey themselves. Most people who come here are beginners. So I’ve decided to start getting back to sharing some real foundational (and less conventional) language learning advice again – stuff to help people who are fairly new to the whole thing. I’ll start by sharing something incredibly simple but super important. 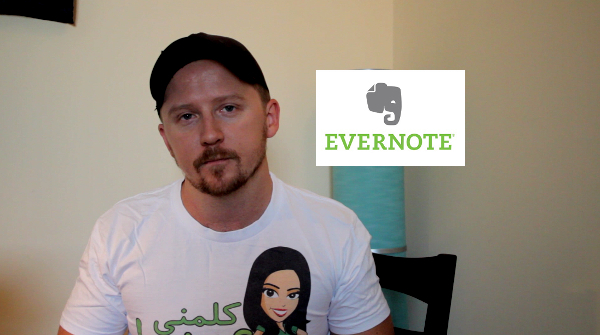 I want to give you one simple but very important step I take when starting out with a new language and I’ll demonstrate this using the app Evernote. Most people have probably seen or heard of it already so it’s not news by any means but if you haven’t heard of it, then watch the video where I’ll run you through it. As I’ve said in the video, Evernote itself is unnecessary (you could accomplish the same thing dozens of different ways) but the app makes it all so much easier to consolidate and arrange across devices so I think it’s very handy. It has a basic plan option which is free and that’s enough for most people but there are paid tiers (plus and premium) that provide better features too. You can sign up for Evernote here. From the very beginning of my life i used to learn english language. honestly speaking still i have a great intention to be a fluent orator of english language.now my question to you how can i become a good speaker?